After more than a decade of being tied down in two prolonged land conflicts, during which it accumulated the heavy equipment and the image of a “second land army,” the Marine Corps is getting back to its amphibious roots, lightening its load, and reclaiming its role as the nation’s premier expeditionary force. The drive to get the Corps back to sea became almost an obsession with former Marine Corps Commandant Gen. James T. Conway, and has been embraced enthusiastically by the current top Marine, Gen. James F. Amos. “Partnered with the United States Navy in a state of persistent forward presence aboard amphibious shipping, your United States Navy and Marine Corps team remains the most economical, agile, and ready force immediately available to deter aggression and respond to crises,” the commandant told Congress this spring. “Amphibious capabilities provide the means to conduct littoral maneuver – the ability to maneuver combat-ready forces from the sea to the shore and inland in order to achieve a positional advantage over the enemy.” The Navy-Marine Corps team “provides the essential elements of access and forcible entry capabilities that are necessary components of a joint campaign,” Amos said. Fortunately for the Marines, Amos’ passion to restore the naval services’ amphibious capabilities is shared by Secretary of Defense Leon Panetta and Chief of Naval Operations (CNO) Adm. Jonathan W. Greenert. “This is the opportunity to take those concepts from table top to a fleet exercise … This is the culmination of that, to get back to sea with the Marine Corps,” the CNO said. That amphibious exercise and more to come were intended to re-educate his officers in a core naval mission, he said. “I believe we have a plurality of senior officers who don’t understand the details of amphibious operations … We don’t have the officers with the kinds of experience we need,” Greenert said. 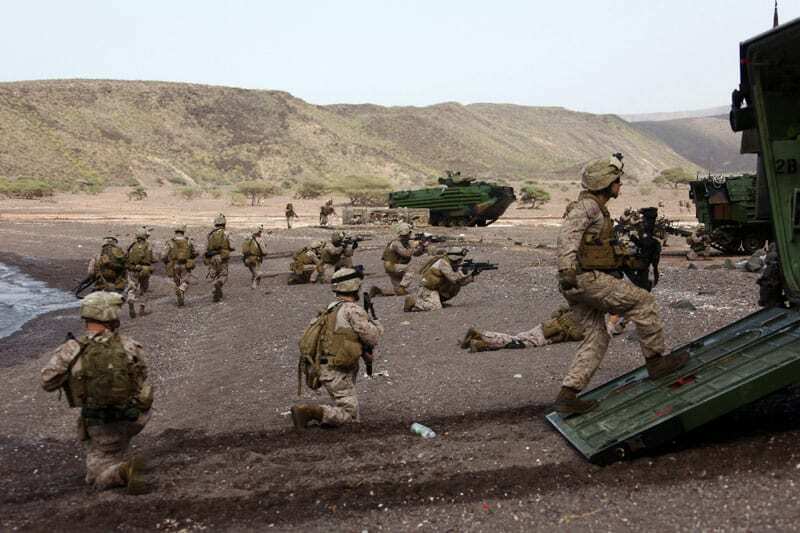 It is not as if the Marines and the Navy have not been to sea while engaged in conflicts ashore – from Desert Storm in 1991 to Enduring Freedom today. Marine Expeditionary Units (MEUs) have continued to deploy regularly aboard Amphibious Ready Groups (ARGs), which have put them in position for a wide variety of missions, from humanitarian relief to combat. One of the best examples was Task Force 58, which, under then-Brig. Gen. James N. Mattis combined the forces of two MEUs to make a 400-mile assault by helicopter from amphibious ships to seize an airfield near Kandahar, Afghanistan, the Taliban heartland, on Nov. 25, 2001. Amphibious forces also demonstrated their value last year during the NATO-led operations to support the rebellion against Libyan dictator Muammar Gaddafi, with AV-8B Harrier jump jets and MV-22 Osprey tilt-rotor transports flying off a big-deck amphib to conduct quick reaction strikes and to rescue a downed Air Force pilot. And the Navy-Marine team has conducted a lot of small amphibious exercises at U.S. bases and overseas during those years. 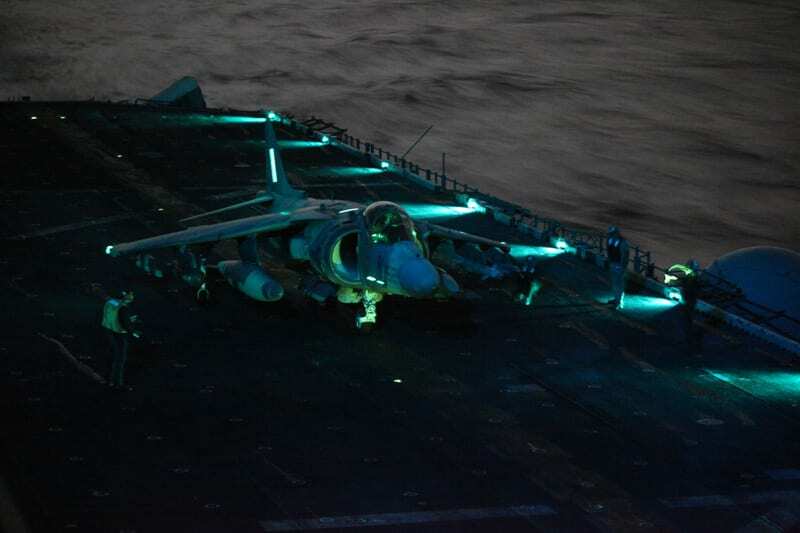 But the thrust by Amos and Greenert to rebuild amphibious expertise got its biggest boost in February with Exercise Bold Alligator 2012 (BA12). Organized and directed by two of the naval services’ most experienced leaders, Adm. John C. Harvey Jr., commander U.S. Fleet Forces Command, and Lt. Gen. Dennis J. Hejlik, former commanding general, Marine Corps Forces Command, BA12 was a live and simulation-supported exercise that involved 31 ships, 101 aircraft, 16,000 U.S. Marines and sailors, and hundreds of allied troops. Conducted Jan. 30 through Feb. 12, ashore and off the coasts of Virginia, North Carolina, and Florida, it was the largest amphibious exercise in 10 years, Harvey said.